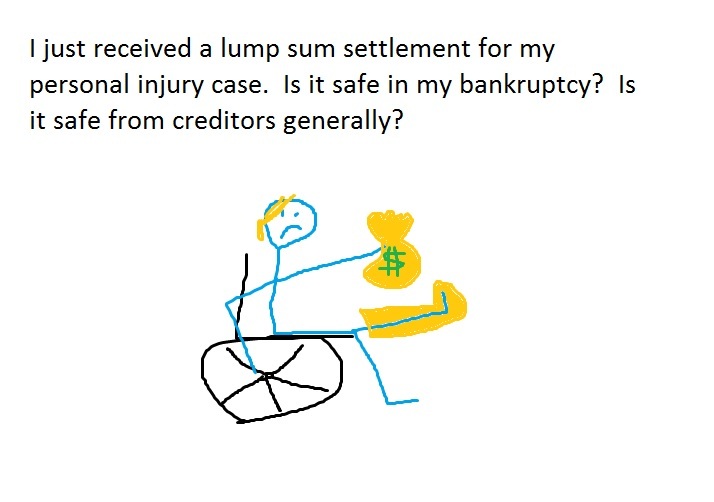 I just received a lump sum settlement for my personal injury case. Is it safe in my bankruptcy? Is it safe from creditors generally? 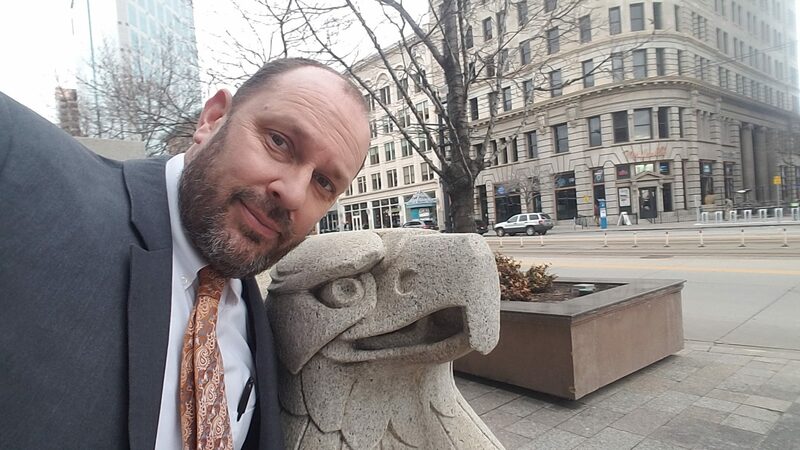 I have a client who received a $25,000 settlement from a personal injury case. She is worried that creditors or even the bk trustee will try to take that money from her. So long as that money is for bodily injury and is compensatory, it is safe. In other words, if she had made the mistake of signing a settlement agreement saying that they were punitive damages, then they could be taken by the bk trustee. However, that is rare. Almost everyone settles for compensatory damages to compensate you for some kind of injury. I can safely list the $25,000 in her bankruptcy and then exempt (protect) it from creditors and from the trustee. 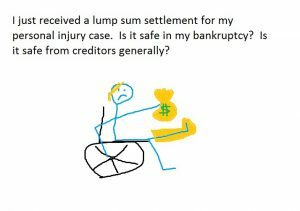 This entry was posted in Utah Bankruptcy on August 30, 2017 by robertspaynelaw.